It’s about having a more open platform. There’s no keys shared between vendors, and the cards work transparently between vendors. Why own your own keys? A major factor for UGA in their search for the right card technology was the ability for the university to have ownership of its own encryption keys, rather than ceding that control over to a vendor or manufacturer. The element of the system that enables UGA to realize this flexibility is the LEAF protocol, developed by WaveLynx. 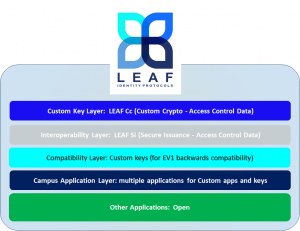 LEAF defines the data format for the DESFire EV2 cards establishing application areas and files that card issuers like UGA can utilize. “While other vendor solutions utilize DESFire EV2 cards, if they use a proprietary protocol or data format, the ability to incorporate readers from other manufacturers or purchase cards from other suppliers is hindered,” explains Wharton. 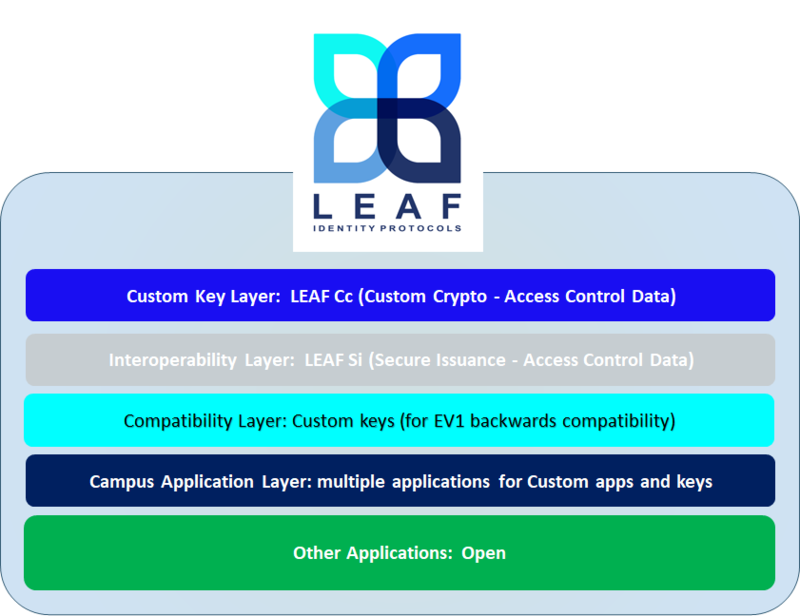 Though LEAF was developed by WaveLynx, it is an open protocol so other hardware and access control reader manufacturers can freely use it to build compatible products. UGA wanted to add custom keys for access control, so it produced a set of three campus apps with separate read keys on the card. “An access control number is preconfigured on the card. We utilize first two apps for full card number and abbreviated card number,” says Wharton. For now, the third app is being reserved for a possible future use. “We can code these apps ourselves, so we’ve left that reserved for something down the line,” Wharton adds.